No, really. Go ahead and ask. I’ll wait. Well, since you asked, it’s that I’m attending a Doctor Who convention. Why would I travel 607 miles to attend a Doctor Who convention? Easy. I didn’t. I traveled farther than that. First, I drove to Atlanta, then flew to Baltimore. Then Uber to the convention at the Marriott. So more than 607 miles. I got that 607 miles figure because it’s 607 miles from here to my house, as the crow flies. And that’d be a darned tired crow. But why this one? 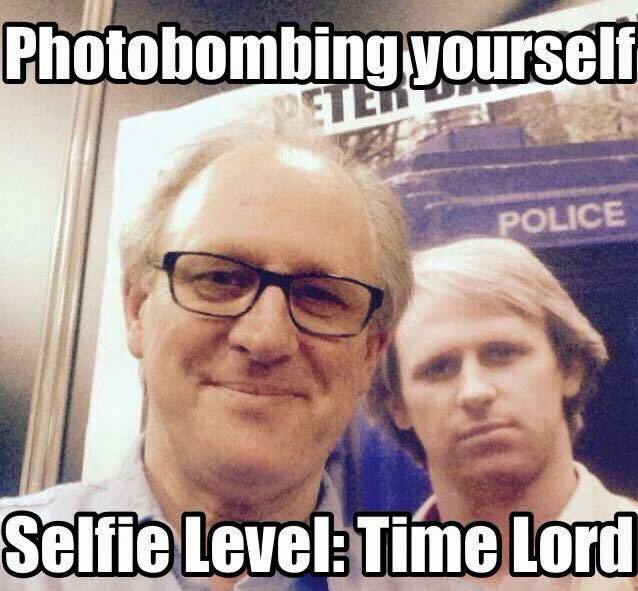 After all, there are Doctor Who conventions a lot closer. Well, I’m a fan of the classic show. And the two surviving cast members from the very first season — the very first episode — were scheduled to attend this convention, called (Re)Generation Who. I said “were” because one has since canceled. Carol Ann Ford, who played Susan Foreman, the Doctor’s grand daughter, canceled this week. But William Russell, who played the Doctor’s traveling companion Ian Chesterton, is still scheduled to be here. Also, there will be not one, not two, but three Doctors: Peter Davison, the 5th Doctor; Colin Baker, the 6th Doctor; and Peter Capaldi, the 12th Doctor. Now, before any of you nit-pickers start up, Gerald Flood, who voiced the 5th Doctor’s robot companion Kamelion, died in 1989. And Mike Power, who built the prop, died during the production of the series. So there. 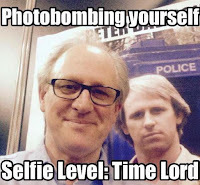 There will be others there, too, of course, but there is a big 5th Doctor focus at this convention. Though I’m disappointed that Carol Ann Ford won’t make it, I’m delighted that, William Russell, at 93 years of age, is still able to attend. He alone is enough for me to attend. Everything else is a bonus. Mad Max on "The President and the Press"